Thanks to P&G for sponsoring today's summertime hacks discussion. Opinions are my own. I like the quick and easy approach to life. I take a shortcut whenever possible. Style and beauty DIYs are not an exception. I like to keep things simple yet fresh and functional for my life. 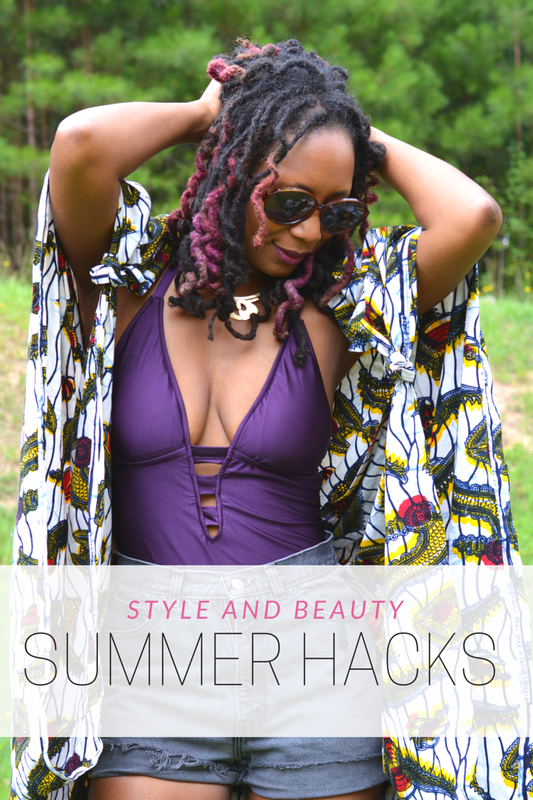 Here are some hacks I've been using all summer. 1. Make shorts out of jeans. It's freaking hot outside. Most of us are experiencing a heat wave. While I'd like to just throw on jeans and tee and be on my way, I'd melt within minutes of stepping outside. I've been hacking off the legs on my jeans all summer. How To Make Jean Shorts: Find a nice vintage pair at the thrift store that's nicely broken in and super cheap. Cut the legs off with a pair of scissors. Cut one pant leg to desired length then fold jeans in half lengthwise and use cut leg as template for even match on the other leg. 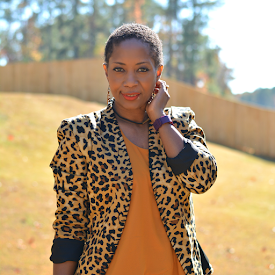 Leave the cuts un-hemmed for a different fringed look with every wash.
2. Wear a swimsuit as a top. Heat makes me take more fashion risks. Bras suddenly becomes an optional accessory. I'm always short on tank tops. I've resorted to using my swimsuits as a bodysuit. They hide the constant pockets of sweat seeping out of pores. They also pair well with denim shorts or a maxi skirt. 3. 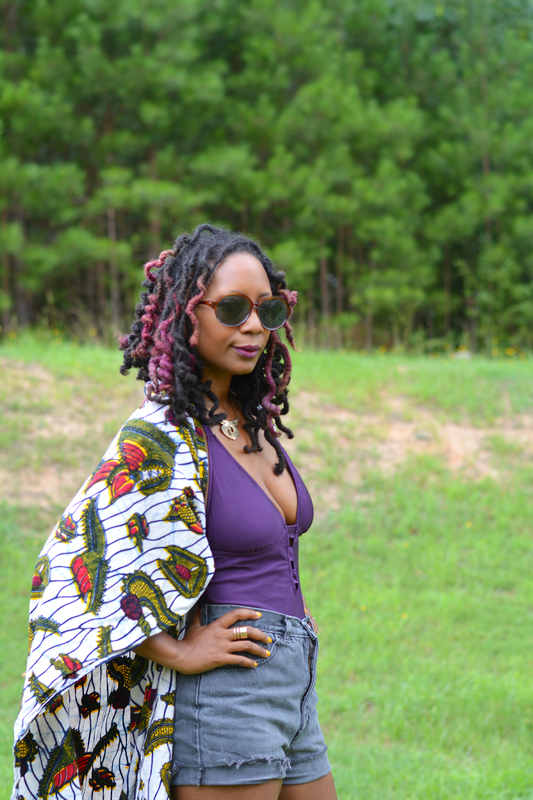 Turn a scarf into a kimono jacket. I like carrying a scarf with me during the summer. I can handle being hot but cool air is my real life kryptonite. I can't function. Chilly mornings and a/c blasts in grocery stores and theaters give me teeth chattering shivers. A sweater can be bulky but a scarf wraps up nicely in the purse. It can be draped over exposed legs or tied into a kimono jacket for the arms. Makes a great beach cover up too. How To Wear Scarf As A Kimono: Tie the ends of an extra long scarf together at both ends. Insert arms through opening. 4. Keep toiletries in travel bag at all times. I keep mini toiletries packed and ready to go at all times including disposable razors. When one is traveling, some things slip through the cracks. Shaving is one of those things for me since I don't do it on a regular schedule. 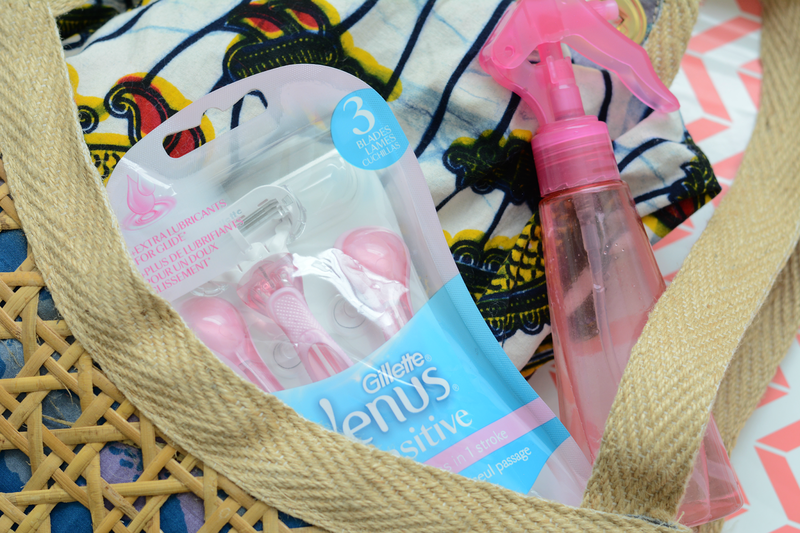 I recently purchased GilletteVenus razors at Walmart and I love how convenient they are when you're pressed for time. Easy to shave with then toss it out. No need for replacement razors. 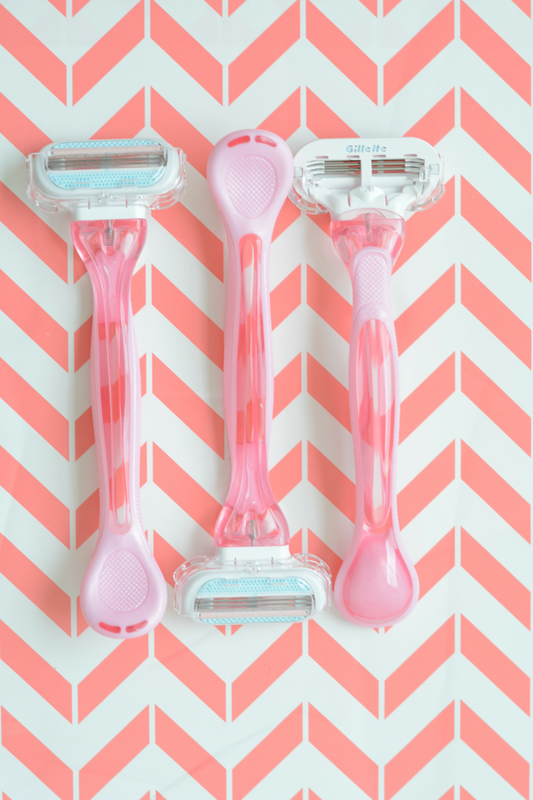 They deliver a close shave with three blades surrounded by soft, protective cushions. 5. Cool down with a spritz of lavender oil mist. Cool your body down with an aromatherapy spritz. I have a sun allergy and prolonged sun exposure will usually give me an itchy uncomfortable heat rash on my arms and legs. Spritzing periodically prevents a flare up. How To Make Lavender Oil Mist: Fill a spray bottle with water. Drop in a ½ tsp. of witch hazel and 5 - 6 drops of lavender oil. Apply to arms and legs for instant relief and the relaxing scent of lavender. What's your favorite summertime hack?